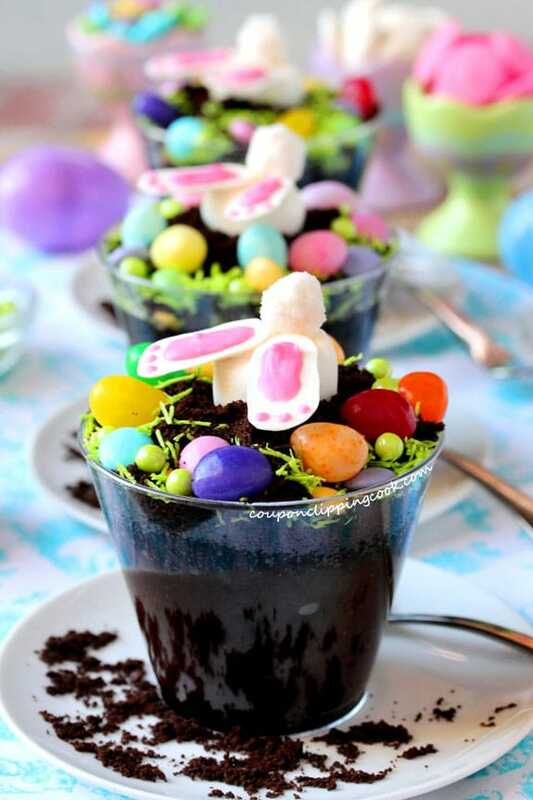 It’s basically impossible not to love these bunny desserts. How lucky these “sweet” little bunnies are. 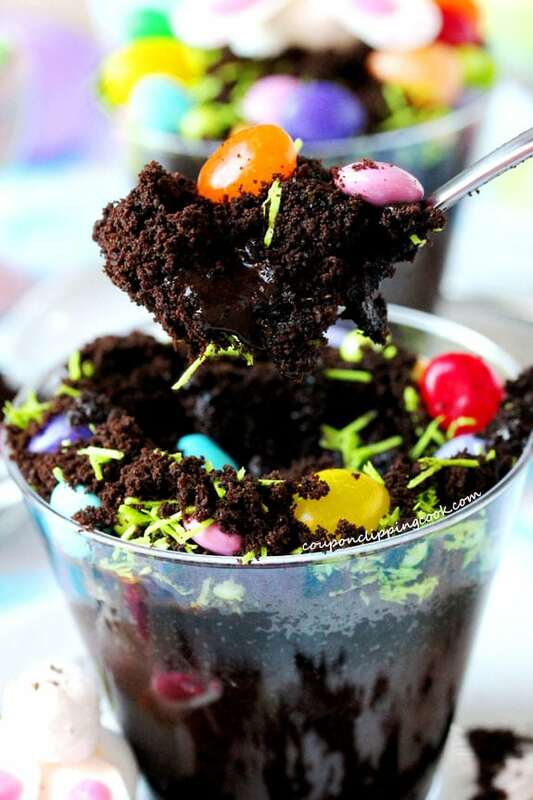 They get to dig in dirt that’s made of cookie crumbs and chocolate pudding. And they’re completely surrounded by candy grass, jelly beans and M&M’s, how great is that? Now that I think of it, I wonder why they’re digging when there are so many goodies already on top of the dirt. Maybe these marshmallow bunnies are looking for candy carrots or something. 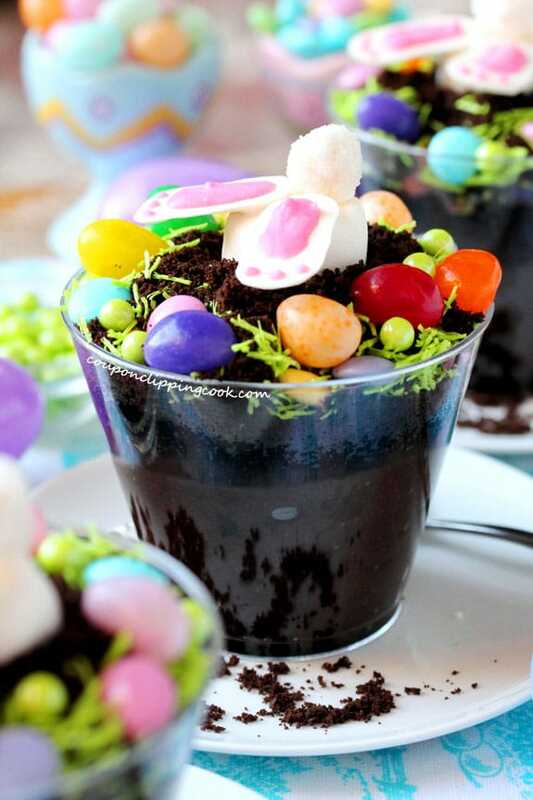 Well, one thing’s for sure, these desserts look more like an Easter decoration than something to eat. But the good news is that not only are they almost too pretty to eat, they taste good too. They’re fun for kids (of all ages) to make too. For me, the hardest part of making these cuties is not getting into the Easter candy beforehand. 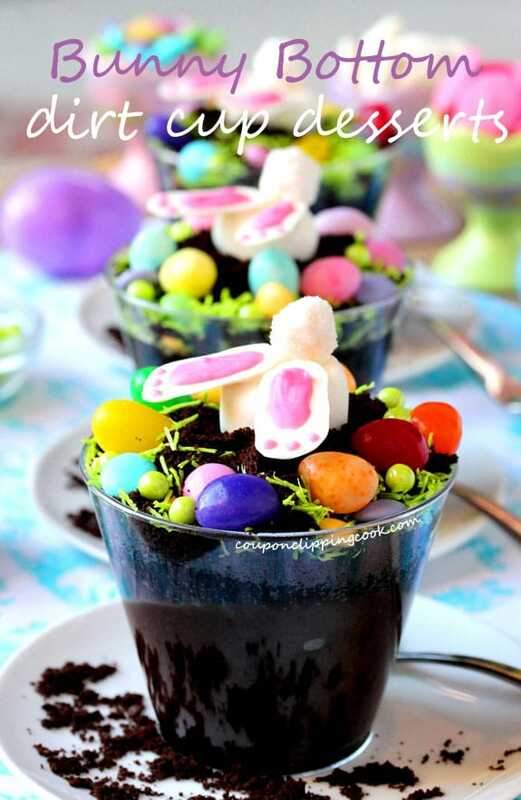 Speaking of Easter candy, feel free to change up the kind candy used to decorate these yummies. 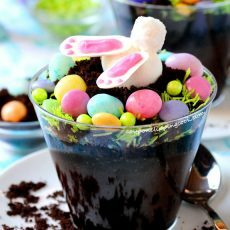 Here’s another version of these adorable bunny dirt cups from SheKnows that I made with shredded coconut and green food coloring for the grass. 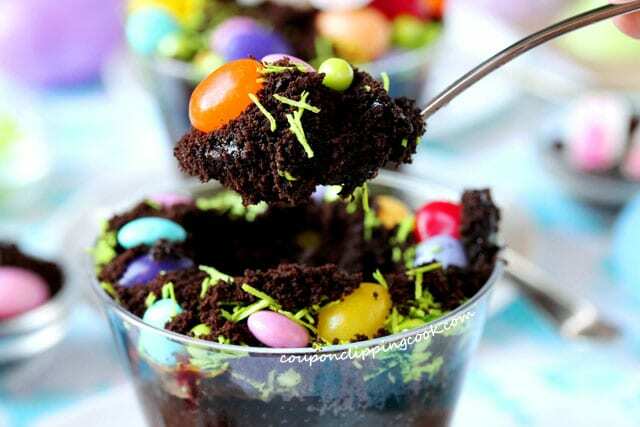 *For the grass, if green shredded candy sprinkles aren’t available shredded coconut and green food coloring works nicely too. See how to make shredded coconut Easter grass in this post “Easter Krispie Treats“. scrape off the crème filling from each cookie and discard (the filling). …grind until just crumbs are left. Set aside for a moment. 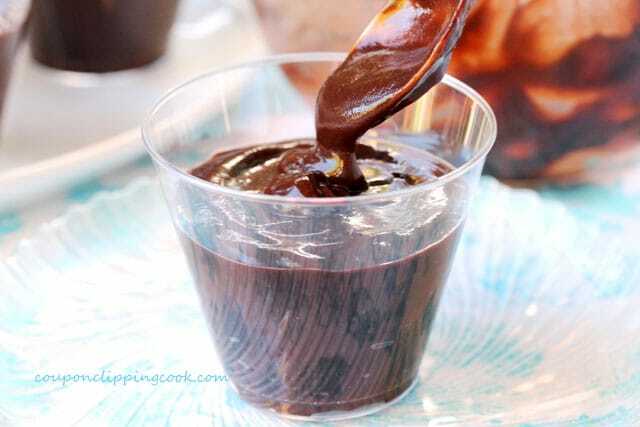 Fill each cup with prepared chocolate pudding leaving about 1 inch to 1-1/2 inches of empty space at the top. Top the pudding with cookie crumbs. Reserve some of the cookie crumbs to make a “mound” in each cup where the bunny bottom will be placed. 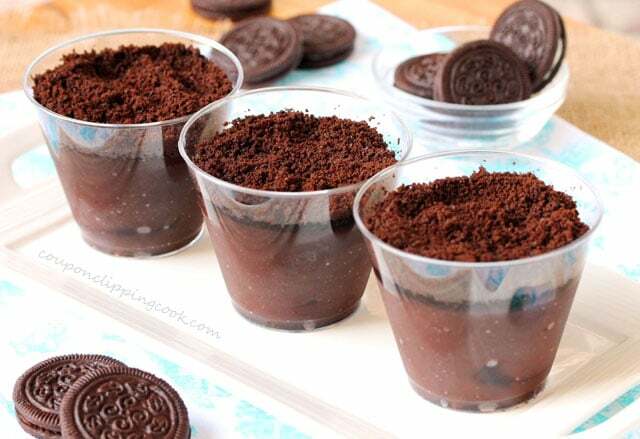 TIP – If making these ahead of time, don’t add the cookie crumbs until just before serving because they’ll get soggy from the moisture in the pudding. 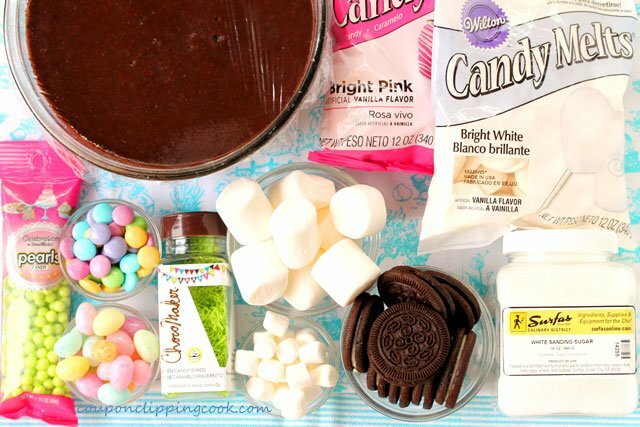 Set aside while making the marshmallow bunny bottoms. 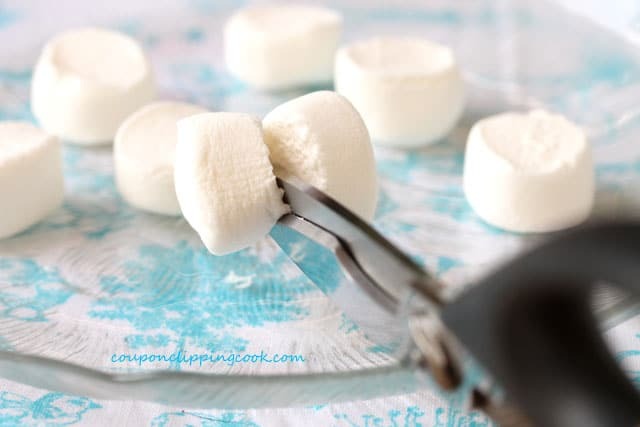 Squeeze 2 miniature marshmallows together and roll them into a ball. If using the a less expensive brand of marshmallows, an additional 1/2 marshmallow may be needed to get the right size. 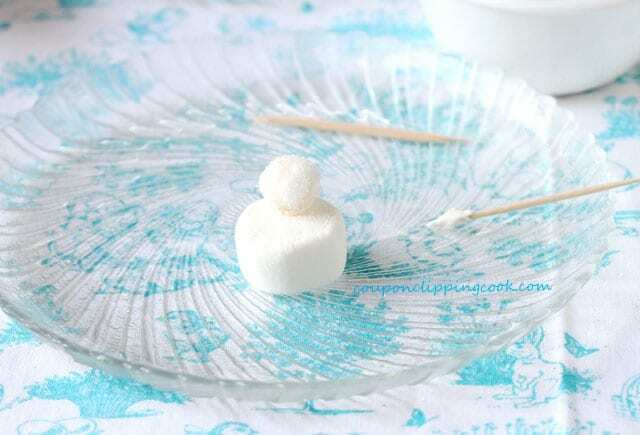 Right after rolling the marshmallows into a ball (while they’re still sticky), roll them in sanding sugar (or another sugar with large white/clear crystals). White nonpareil candy sprinkles can also be used in place of the sugar. …cut the large marshmallows in half widthwise. Lay them on a plate sticky side up, and set aside for a moment while making the bunny feet. 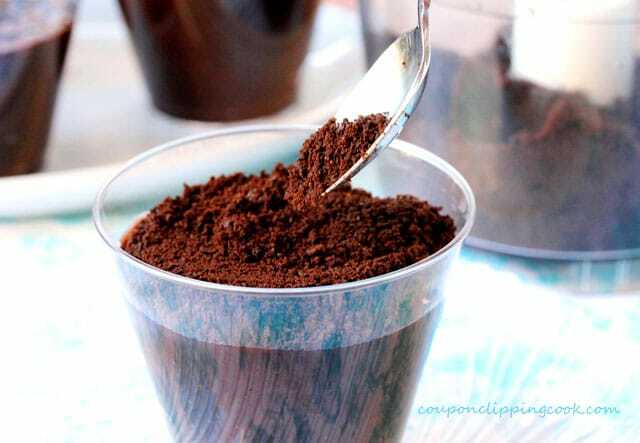 For the Bottom Flat White Part of the Foot – On a plate, lay a piece of parchment or wax paper. Melt the white candy melts according to the package instructions. In one corner of a snack-size zipper plastic bag, spoon in the melted candy. In the corner of the bag where the candy is, snip a very small hole. 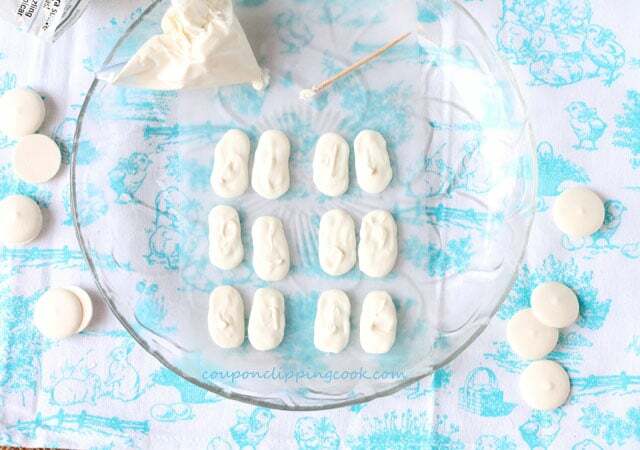 Pipe the melted candy from the bag on to the parchment/wax paper to form the bunny feet. Use the flat side of a toothpick to spread the top of the candy feet as flat as possible because after these are cooled they’ll be turned over; the smooth bottom will be where the bunny pads and toes are added. So the flatter that the feet lay when turned over, the better for piping on the pink pads and toes. Chill in the refrigerator for about 10 minutes or until they’re set. When the bunny feet are set, turn them over smooth-side up (this is where the bunny pads and toes will be added). For the Pink Pads on the Feet – Melt the pink candy melts according to the package instructions. Spoon the pink candy in a snack-size plastic bag just like it was done for the white candy melts. Only this time, make an ultra super tiny snip in the corner where the pink candy is. Pipe the melted pink candy on to the white candy feet to form the pads (try not to hold on to the white part of the feet because the candy melts super quick when touched). For the Pink Toes – To make the toes, I find that using a toothpick (dipped in the melted pink candy) works better than piping the candy from the bag. 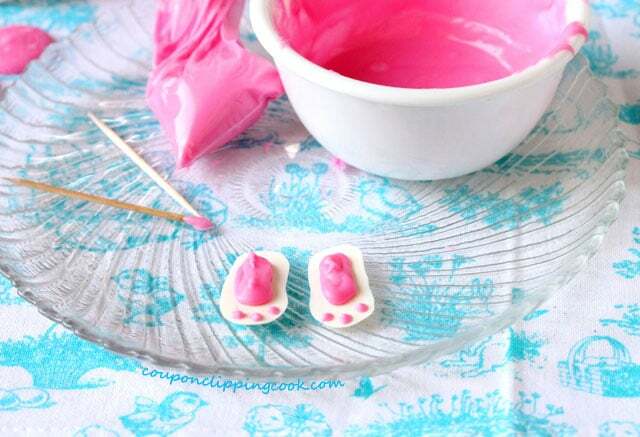 Dip the toothpick in the melted pink candy and place 3 pink dots above the pads on the foot. Chill the feet in the refrigerator for about 5 minutes or until the pink pads and toes are set. Attaching the Tail – Lay a piece of wax paper on a plate (don’t be like me and forget to do this). Lay the bunny bottom marshmallow sticky-side down. Using a toothpick, dab melted white candy on to the top side of the large marshmallow and lay the tail on top of it. Attaching the Feet – Under the tail, dab melted white candy where the left foot will go and lay a candy foot on top of it. Then dab melted white candy where the right foot will go and lay the other candy foot on top of it. 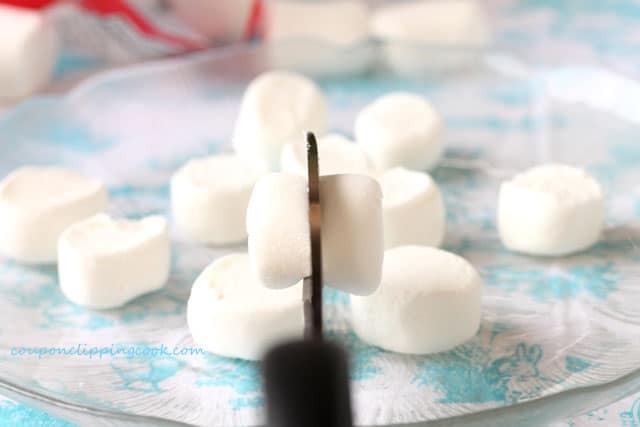 TIP – When attaching the feet to the bunny bottom, it’s best to add the melted candy to attach one foot at a time on to the marshmallow so that the melted candy doesn’t start to set before each foot can be attached. 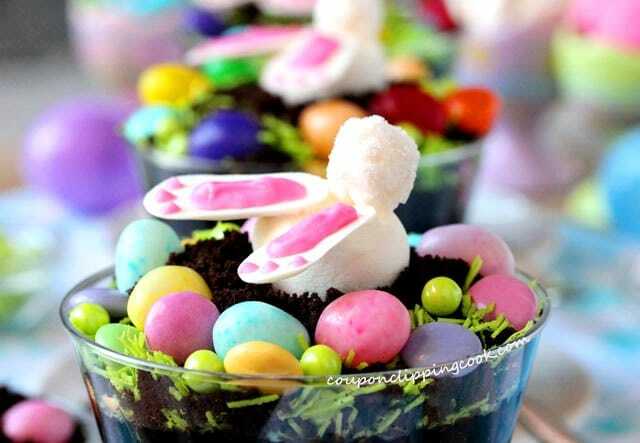 Decorating Around the Bunny Bottom – With the remaining cookie crumbs, make a small “mound” in the middle of the dirt. Lay the bunny bottom in the mound. 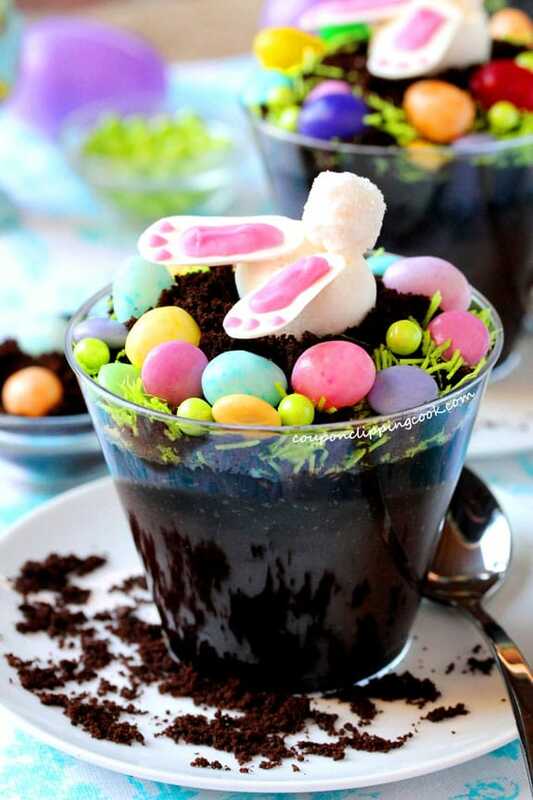 Add candy grass, jelly beans, and/or candy sprinkles in the dirt just outside of the “mound” where the bunny is. …eat a jelly bean or two. These yummies are best when served right away. If making these before serving, cover with plastic wrap and store in the refrigerator until serving. 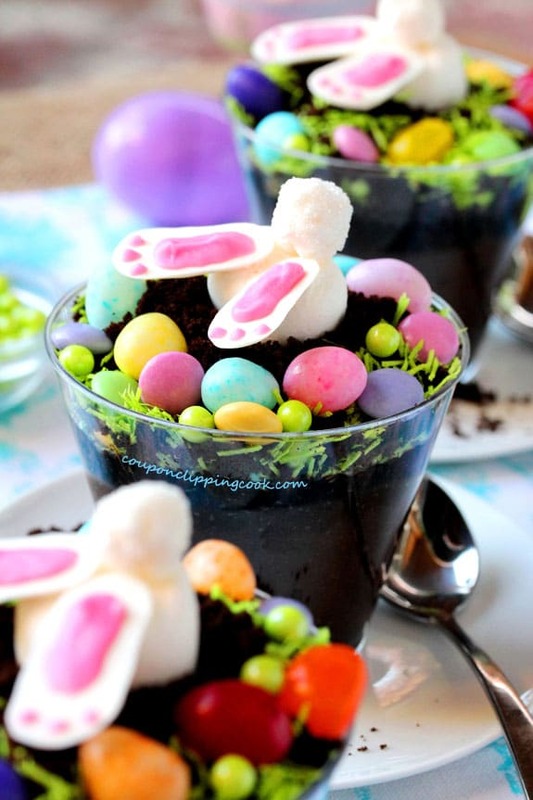 It's basically impossible not to love these bunny desserts. * For the grass, if green shredded candy sprinkles aren't available shredded coconut and green food coloring works nicely too. See how to make shredded coconut Easter grass in the post on this site "Easter Krispie Treats". 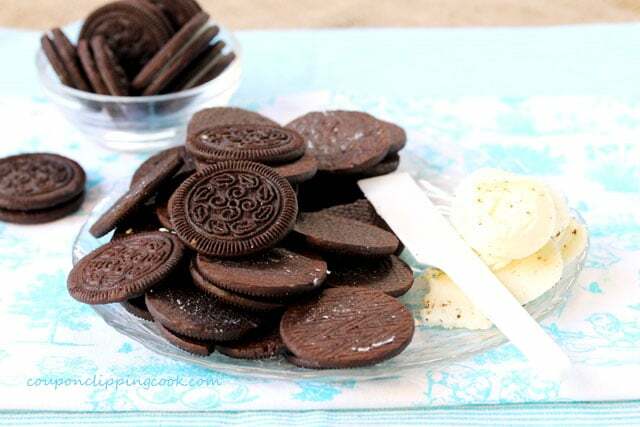 Scrape off the crème filling from each cookie using the dull end of a dinner knife or a spatula. Discard the filling. To a food processor, add the cookies and grind until just crumbs are left. Set aside for a moment. Fill each cup with pudding leaving 1 inch to 1-1/2 inches of empty space at the top. 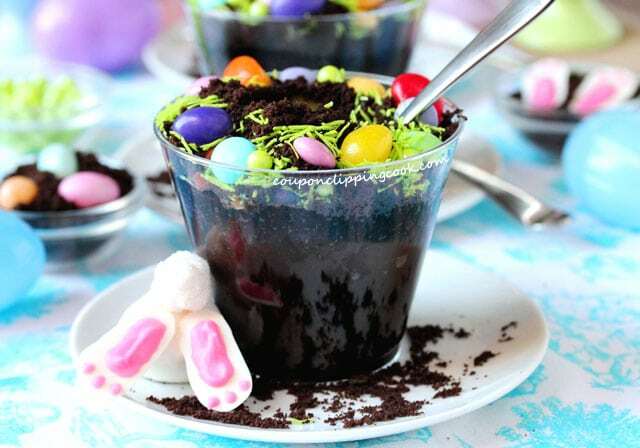 Top the pudding with cookie crumbs, reserving some of the cookie crumbs to make a "mound" in each cup where the bunny bottom will be placed. 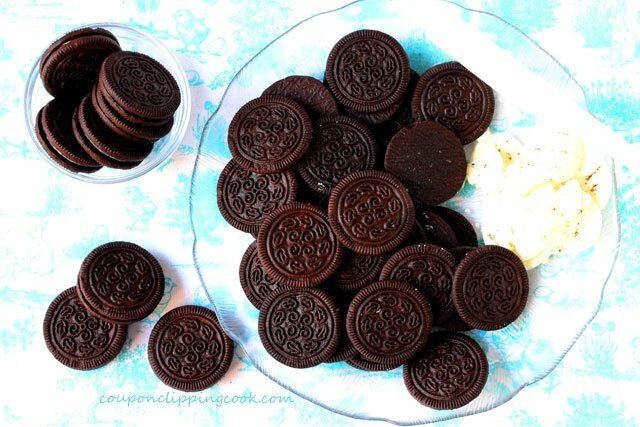 If making these ahead of time, don't add the cookie crumbs until just before serving because they tend to get soggy from the moisture in the pudding. Set aside. 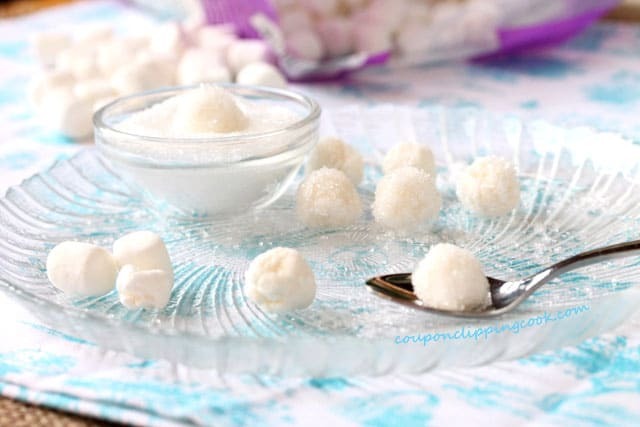 Squeeze 2 miniature marshmallows together and roll them into a ball. Depending on the brand of marshmallows, an additional half marshmallow may be needed for each tail so that they look proportional. 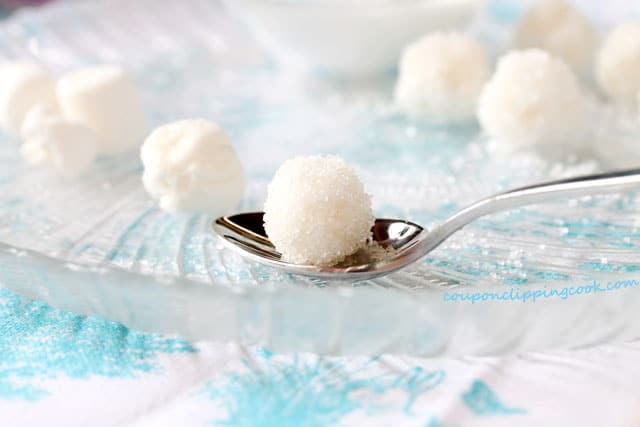 Right after rolling the marshmallows into a ball (while they're still sticky), roll them in sanding sugar (or another sugar with large white/clear crystals). In place of rolling them in sugar, they can be rolled in white nonpareil candy sprinkles. Set aside on a plate. 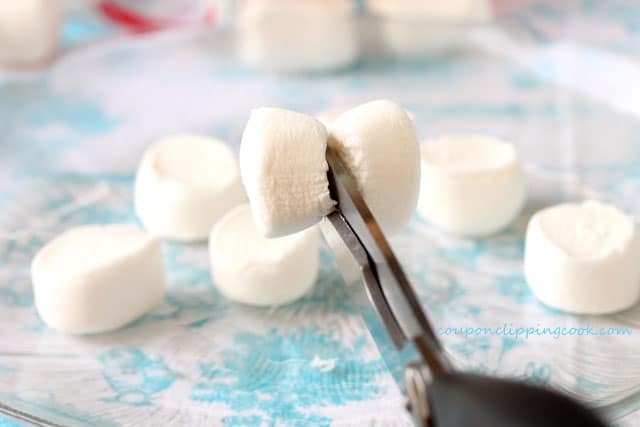 Using kitchen scissors that are used for food, cut the large marshmallows in half widthwise. Lay them on a plate sticky side up, and set aside. For the Bottom Flat White Part of the Foot - On a flat plate, lay a piece of parchment or wax paper. Melt the white candy melts according to the package instructions. In one corner of a snack-size zipper plastic bag, spoon in the melted candy. In the corner of the bag where the candy is, snip a very small hole. Pipe the melted candy from the bag on to the parchment/wax paper to form the bunny feet. Use the flat side of a toothpick to spread the top of the candy feet as flat as possible because after these are cooled they'll be turned over; the smooth bottom part that's on the wax paper will be where the bunny pads and toes are added. So the flatter that the feet lay when turned over, the better for piping on the pink pads and toes. Chill in the refrigerator for about 10 minutes or until they're set. For the Pink Pads on the Feet - Melt the pink candy melts according to the package instructions. 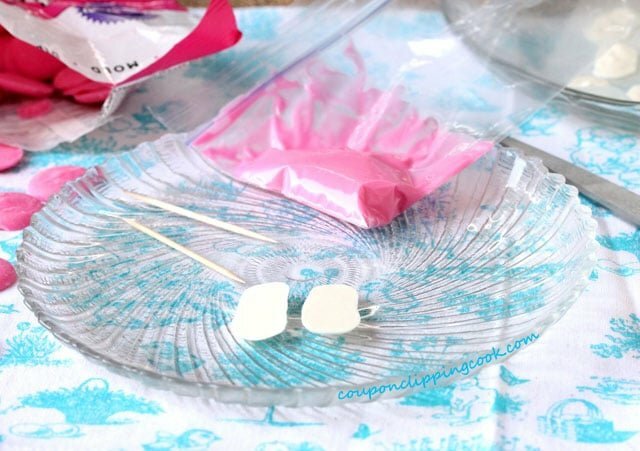 Spoon the pink candy in a snack-size plastic bag just like it was done for the white candy melts. Only this time, make an ultra super tiny snip in the corner where the pink candy is. For the Pink Toes - To make the toes, use a toothpick (dipped in the melted pink candy) rather than piping the candy from the bag. Dip the toothpick in the melted pink candy and place 3 pink dots above the pads on the foot. Chill the feet in the refrigerator for about 5 minutes or until the pink pads and toes are set. 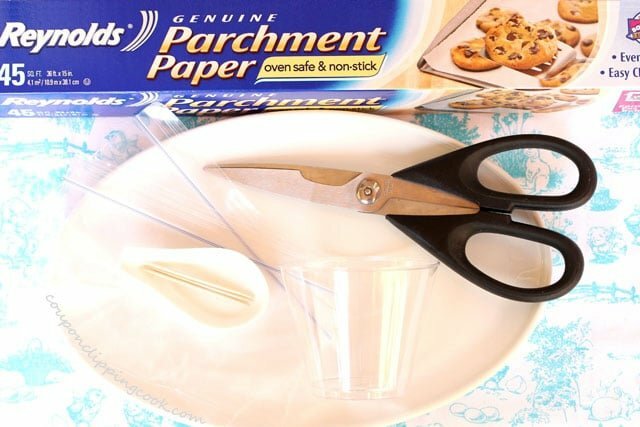 Lay a piece of parchment or wax paper on a plate. On the paper, lay a bunny bottom marshmallow sticky-side down. Attaching the Tail - Using a toothpick, dab melted white candy on to the top side of the large marshmallow and lay the tail on top of it. Attaching the Feet - Under the tail, dab melted white candy where the left foot will go and lay a candy foot on top of it. Then dab melted white candy where the right foot will go and lay the other candy foot on top of it. It's best to add melted candy for one foot at a time so that the melted candy doesn't start to set. Set aside for a moment. 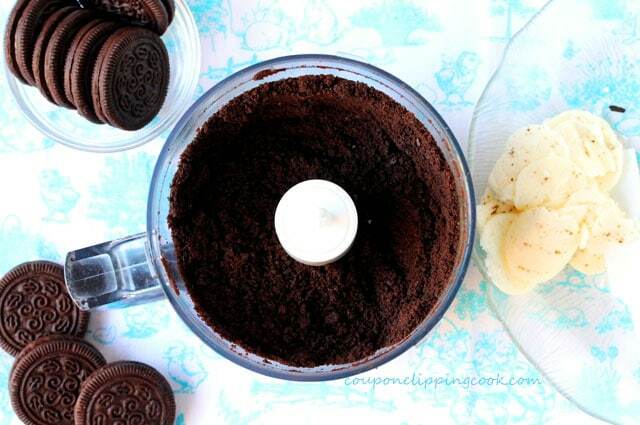 With the remaining cookie crumbs, make a small "mound" in the middle of the dirt. Lay the bunny bottom in the mound. 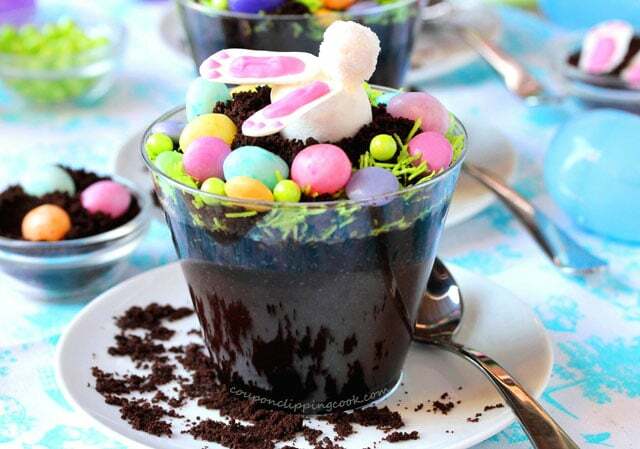 Decorating Around the Bunny Bottom - Add candy grass sprinkles, jelly beans, and/or candy sprinkles in the dirt just outside of the "mound" where the bunny is. Repeat for the remaining desserts. Cover and store in the refrigerator. These are best when served right away when the colors are most brilliant. 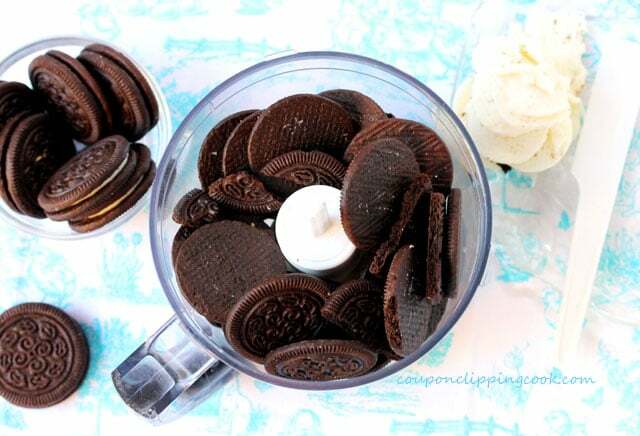 If making these ahead of time, don't add the cookie crumbs until just before serving because they'll get soggy from the moisture in the pudding. When attaching the feet to the bunny bottom, it's best to add the melted candy to attach one foot at a time on to the marshmallow so that the melted candy doesn't start to set before each foot can be attached.